If you want to be confronted with the challenges of being human sans heavy-handed preaching, then check out the upcoming production of The Valley at Prairie Theatre Exchange (PTE). 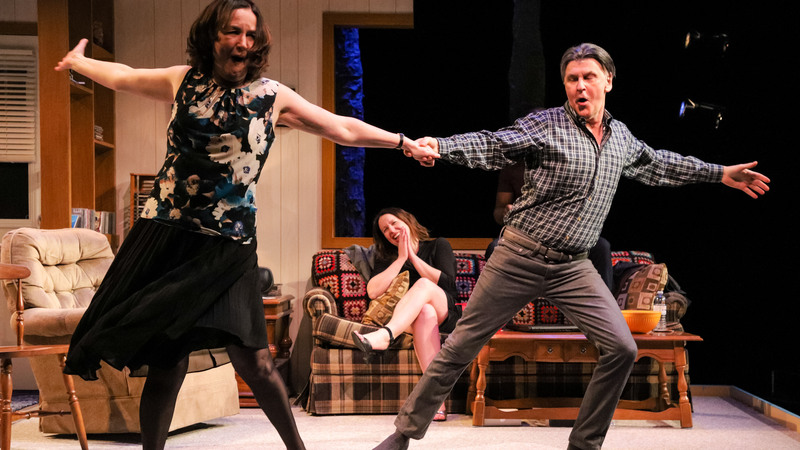 The play is the newest by multi-award-winning Canadian playwright Joan MacLeod, bringing her total number of works for the stage to an even 10. This piece was written in light of the death of Robert Dziekański, who was fatally tasered at the Vancouver International Airport by RCMP officers in 2007. In the play, a teenager who has recently entered university falls into depression and drops out of school while living with his mother. The action also follows a woman coming out of post-partum depression and her relationship with her husband, a police officer. The teenager and the officer encounter one another on Vancouver’s SkyTrain, where the incident with Dziekański is evoked. With an oeuvre full of plays, poems, and professorial work, MacLeod is skilled at capturing essential human qualities in her writing. At the same time, she has the openness to allow others to bring her writing to life. She was at the Banff Centre in the then Advanced Writers’ Studio as a poet in 1984, while the Playwrights Colony was also happening. She spent time with other playwrights and found a new venue for her writing. After starring in her first play when the lead was unable to fill the role at the last minute—a position she hopes to never revisit—she now crafts the script and then passes it on to others to manifest it. “I have never directed my own work. I’d be terrible at it. I have weak visual skills, I’d say. For me plays start with my love of language, with creating characters and letting them speak and help me tell their stories in a way that feels right and true,” says MacLeod. Toby Hughes, the actor playing Connor, is back at PTE where his acting career began before he was a decade old. He took classes there until he graduated from high school, and then helped found Outside Joke Improv during his first year of university. Hughes credits director Ann Hodges for making it possible to have a natural flow in the characters’ movements, while also allowing the audience to see all the characters from multiple angles at PTE, which has a thrust stage, so the audience is on three sides. In addition to Hodges’ direction, the cast received assistance from mental health experts and police officers that joined them in rehearsal to offer advice and insight. Although the topic is depression, that doesn’t mean the play has one tone. The Valley runs Feb. 27 until Mar. 16 at Prairie Theatre Exchange (third floor at Portage Place Shopping Centre). Tickets are available at the box office, located at the theatre; by phone, 204-942-5483; or online at www.pte.mb.ca. Prices range from around $24-43. There are affordable prices for students with valid ID as any unsold seats 30 minutes before show time are only $10.